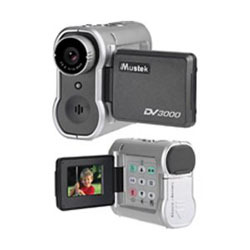 The Euromax EU-3M is the sleek, multifunctional digital camcorder you've been waiting for! Jam-packed with features, the Euromax EU-3M is a Digital Camcorder, Digital Still Camera, Digital Voice Recorder, MP3 Player, Video Camera, Card Reader and PC Cam - seven functions, in one compact unit. With your help we can reach more people and let them know about Euromax EU-3M Digital Camcorder whether this product works or not.